Who is the Quiet Fan? It’s you, me and almost everyone who follows football. But for years we’ve been marginalised by the hooligans, the fanatics, the obsessives and the angry. Only the “passionate”, it seems, can say that they love their clubs and the game. This quiet fan believes it’s time to reclaim the unreported middle ground. Magnificent, frustrating, invigorating football is our game too. The joy of football lies in its bookmark appeal – its place as a solid, stable gauge of continuity in your otherwise messed-up earthly sojourn. 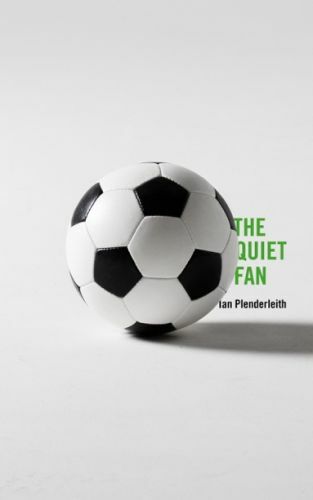 WSC regular contributor Ian Plenderleith takes 12 games spread across his life and embarks upon a lively autobiographical trip connecting each one to a significant time or sensation. Death and divorce remind him of Lincoln City v Plymouth Argyle. Despair hits him at Hampden Park while watching Celtic v Aberdeen. Hope is foolishly summoned by Scotland hammering Yugoslavia. Love and all its ups and downs is coupled with (what else?) Birmingham City v Crystal Palace. More than just a game, but slightly less than the core of the universe, football's gift is that it will help us through – even when, as usual, the results don't go our way. Ian Plenderleith has been writing for WSC since the 1990s. His other books include the football short story collection For Whom The Ball Rolls, and the non-fiction Rock n Roll Soccer: The Short Life and Fast Times of the North American Soccer League. A lifelong fan, player and coach, he also writes a weekly blog, Referee Tales, about how much he enjoys receiving non-stop abuse for his unconscionable attempts at refereeing in the German amateur leagues.